We all know that staying in contact with both new and past clients is important when it comes to your real estate business. Referrals from previous clients can make up a large percentage of your business, but for this to happen, you need to stay in touch with your clients. 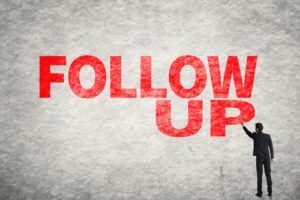 Automated follow-ups are a great way to stay in touch with your clients without leaving them feeling harassed and you feeling stretched. You may be wondering how to automate client follow-up programs, but first let’s look at four reasons why you should automate client contact. Save Time: A big reason as to why you would automate a process is to save time. This is no different when it comes to client follow-ups and staying in touch with your clients. Build Client Relationships: Building a relationship with your client is an important step in claiming that repeat business. If you have an automated process, no client gets left out of the loop. Keep Your Name in the Hat: When one of your clients, friends, or family is looking for a realtor, your name should be the first that rolls off their tongues. If you haven’t made follow-up contact, then this is not as likely to happen. Automate your client contact and keep your name fresh in their mind. Stay in Touch No Matter What: Days get busy, emergencies arise, and time flies by. Automated processes help remind you that it is time to contact a client. You can use slower periods to automate your processes so that the busy times never get in the way of your client contact. Automated processes also let you have control, no matter where you are in the world. Automated contact can save you time, help with client retention and help you to stay in contact with your clients, no matter how busy you are and no matter where you are in the world. If you would like to know more about how to automate client follow-up programs, contact us today at Continuity Programs.